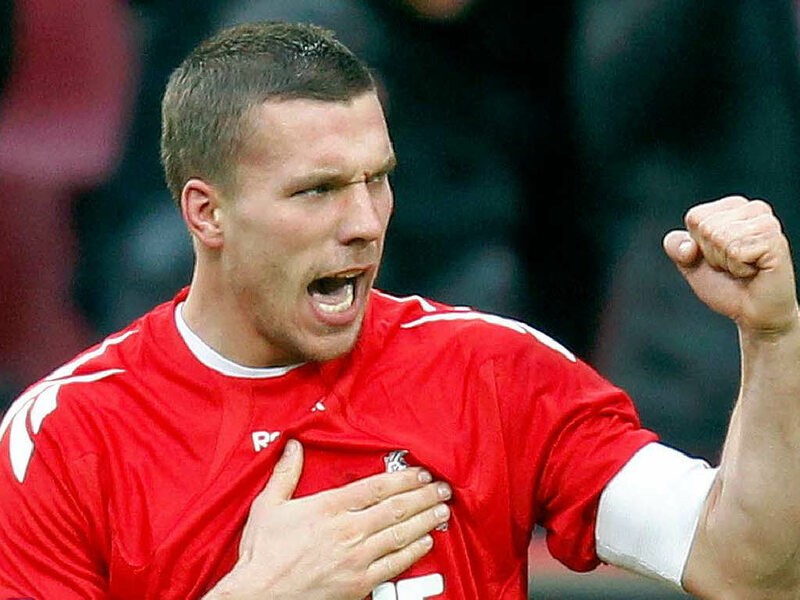 Podolski ‘Set To Join’ Us | Santos Back in 2 Weeks | News Round Up. Top of the morning to you wherever you’re reading this from, or should I say Hi 5-2 you all?. Well then, straight to the post shall we. News broke yesterday and twittermania ensued that we’ve agreed terms with Lukasz Podolski to join us in the summer with the only thing remaining now is a deal with the club. I wanted to doubt it seeing as its season ticket renewal time but from what we heard, we agreed a couple of deals in January but agreeing with their respective clubs was the problem. If this is true(which I believe it is) then that’s a good move and he’s NOT going to be a replacement for RVP. He’s very versatile and can play on the left of a 4-2-3-1(4-3-3) formation or behind the main striker or alone upfront as he’s done for Cologne thus far. So that’s one down, hopefully 3 more signings to come(a DM, AM, Winger). Four players might not be enough but its a good start, because if you look at the players leaving us this summer(Arshavin,Bendtner,Chamakh,Squillaci,Denilson,Diaby(50:50),Benayoun(back to Chelsea) ) we should replace at least 3 of them and then promote from within. And don’t tell me about how signing established players will hinder growth, instead it only helps(look at United, Bayern & Barca to name a few). M’vila, Gotze, Hoiliet maybe? And then move Walcott forward? Let’s wait and see. The defender tweeted with his account yesterday that he’s back in 2 weeks and to me that’s great news as we all know Gibbs can’t play back to back games without a knock. So that’s very great news as we now have 2 LB’s and 2 RB’s(Sagna & Jenkinson) and won’t have to play anyone out of position again. Someone asked me on twitter yesterday if I see Wenger buying a defender and I said NO. Why you ask? Well by beginning of next season, we’ll have Sagna, Jenkinson, Gibbs, Santos, Vermaelen, Koscielny, Mertesacker in the first team, that’s Seven defenders and I didn’t include Miquel, Bartley, Djourou. Fiorentina are rumored to be interested in taking the forward off our books permanently and I say we should jump at whatever offer as I’m sure he’s ready to leave. 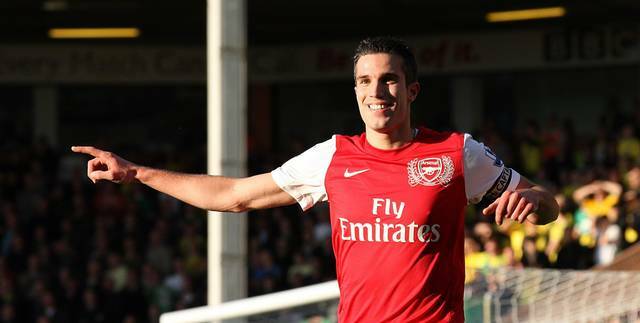 Will it leave us short when he, Park & Bendtner leave in the summer? Maybe. But if we can get the aforementioned players and with the attackers we have already, it shouldn’t be a problem. Van Persie has been talking of late about his love for the club and the papers reported it this morning that he told the dutch coach he sees his future at Arsenal. Its simple, give him the salary he wants, if its 150k/w or 130k/w with a lot of add-ons and a huge signing off fee. He’ll stay because he loves the love club, he just wants to sit with the gaffer come end of season, know what the clubs plans are and then hopefully sign the extension/new deal. No club football this midweek as its International week and a lot of our players will be in action. One game to look out for is England-Holland. 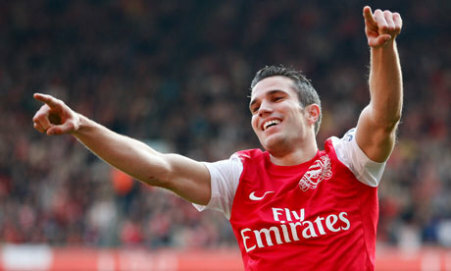 I hope Van Persie is rested to keep him fresh. From wherever you are, have a solid day. Cheers. 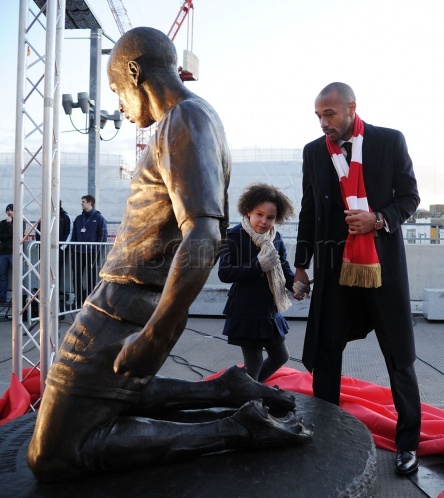 Arsenal yesterday honored three Club legends by unveiling three statues outside Emirates Stadium on Friday afternoon. The first stage of the club’s 125th anniversary was witnessed by many, with quite a number of other legends in attendance. 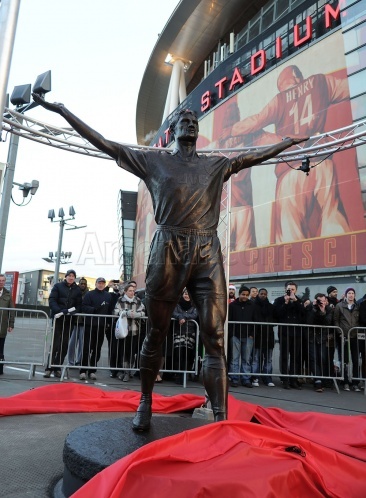 Herbert Chapman, the legendary manager, Mr Arsenal – Tony Adams, and the king, Thierry Henry were immortalized at prominent points around the Ems. Having taken roughly 625 hours to create and weighing roughly 200kg each, the statues were lifted into place on Wednesday, ahead of Friday’s ceremony. 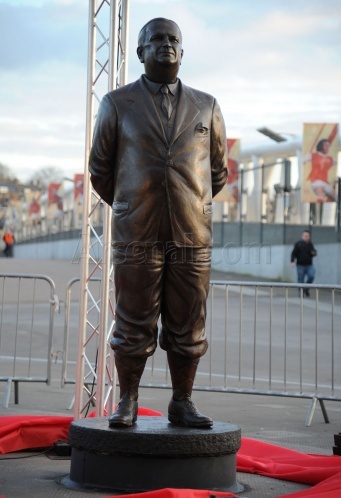 And of the 3 legends, only Thierry was present; Herbert Chapman is dead obviously but one begins to wonder why Tony Admas was not in attendance. 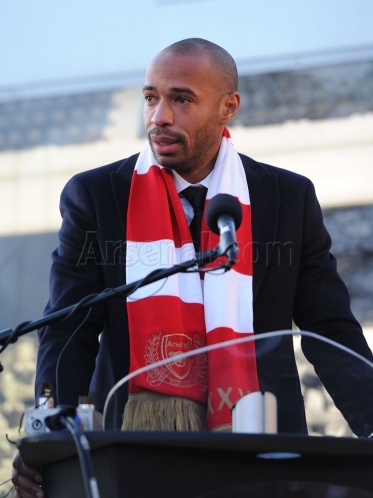 A visibly teary-eyed Henry gave an emotional speech, repeating the same line he had been on since he left, “once a gunner, always a gunner”. It is definitely an achievement he will cherish all his life. Away from the celebration, Arsene revealed the latest team news ahead of the Everton game on Saturday. Andre Santos’ ankle injury rules him out of this weekend’s tie and possibly till the end of the year. It was originally thought that Andre will miss 3 weeks of footie, but Arsene has said the Brazilian will be out for longer. He is scheduled to see a specialist in the coming days. It’s so frustrating to know that he picked up this injury in the dead-rubber tie in Greece, a game he did not need to play in. Arsene is not too disturbed though and reckons Vermaelen can do a good job at left back. Does this mean that we are in the market for a player who plays in another position? Attacking midfield, or even another strker, gaffer? Only time will tell, but I just have this feeling that if Wenger was not looking to do any business in January, he would not have specified what players he won’t buy. This is going to be quick, I can’t remember the last time we lost to Everton at home in the league, so on paper its almost a done deal, but like the proverbial dark horses of international tournaments, Everton have assumed that mantle as they tend to never read the script so don’t rule out a draw but don’t expect a loss. Vermaelen is expected to move to LB to cover for Santos and the senior players that were rested are going to return, meaning the squad is expected to look like this. 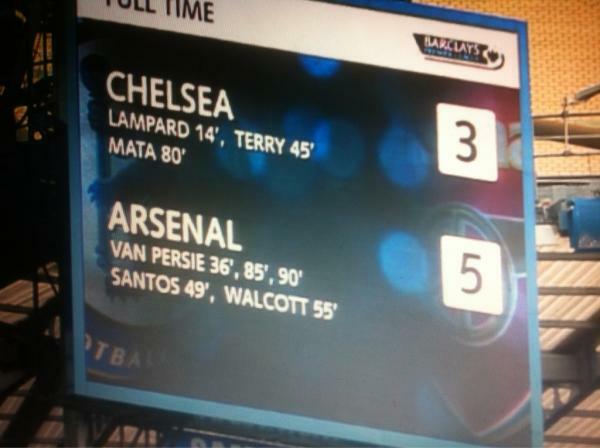 There you have it, let’s hope the players can round off the celebrations with 3 points and if possible 3 goals too. COYG!!!!! 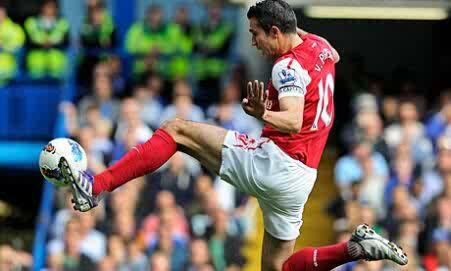 For only the third game this season, Arsenal shot blanks and failed to find the back of the net. The scoreline did not reflect the nature of the game as we could have won by at least 3 goals with poor finishing & lack of sharpness to blame. Arsene Wenger chose to rest RVP and Koscielny for Vermaelen & Park with Jenkinson also coming in for Djourou, those were the only changes. The game started off slowly, we kept giving away possession and Marseille spent the better part of the first 10 minutes in our half with nothing to show. We gained a foothold just after that, with Ramsey and Gervinho posing serious threats with their pace & passing. Ramsey had the chance to put us ahead but held back on the pass to Park and ended up wasting it. Walcott was also set free by Gervinho and Marseille had the goalkeeper to thank after turning it round the post. The half time whistle came and just before that, Gervinho shot at the goalkeeper. For all of the speed carried by the oppositions attackers they couldn’t make it count. Santos was having a mixed game, poor at the back, excellent going forward. 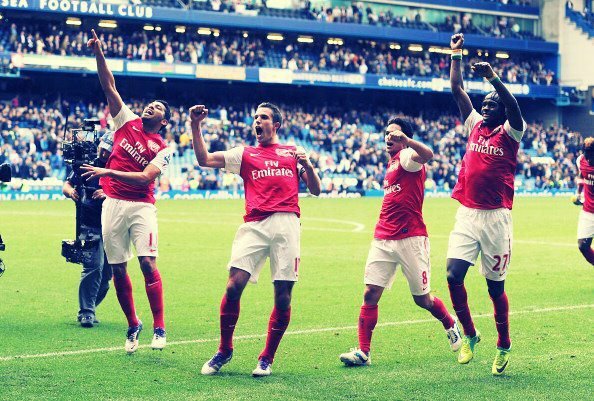 Gervinho full of energy, Arteta ever so careful. The back four rarely untroubled and Vermaelen looked solid, Jenko too. Despite making changes and introducing RVP, Rosicky & Arshavin, we still lacked sharpness but credit to Marseille, they got what they came for. On the plus side, coming away with the draw meant we still top the group and are on course to qualify and the unbeaten run is still on. Good to see Vermaelen back, he did not look out of place, won his tackles, defended well and organized the defence. •Jenkinson defended well and Song had a solid game. Gervinho is beginning to settle well and improving his range of passing. •Walcott might be on-and-off offensively, but in the past few games, his defensive input has been solid, the highlight was when Santos lost the ball on the left and Marseille broke with speed, Theo sped back all of 70yards to cover for him. Great stuff.